What does one do when your power is out for days due to a slow moving, wind pounding hurricane? If you are J & I, you leave! Fast! We had already planned to leave for the Labor Day holiday weekend but decided quickly to leave a day earlier than planned due to the widespread power outage. We spent ONE night here last Thursday with no electricity and were totally misearable. 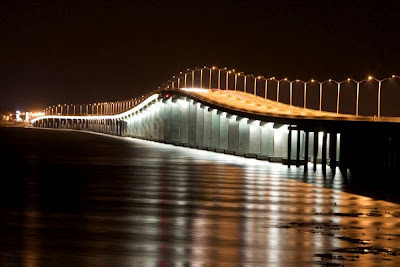 J & I headed just an hours drive away to the charming coastal town of Bay St. Louis, Mississippi. 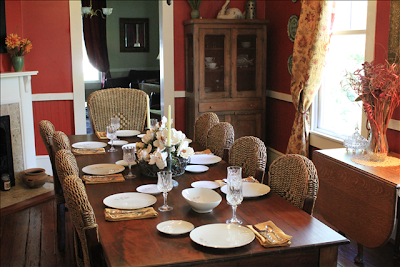 We stayed at The Carroll House, a beautiful restored Victorian home built circa 1890. 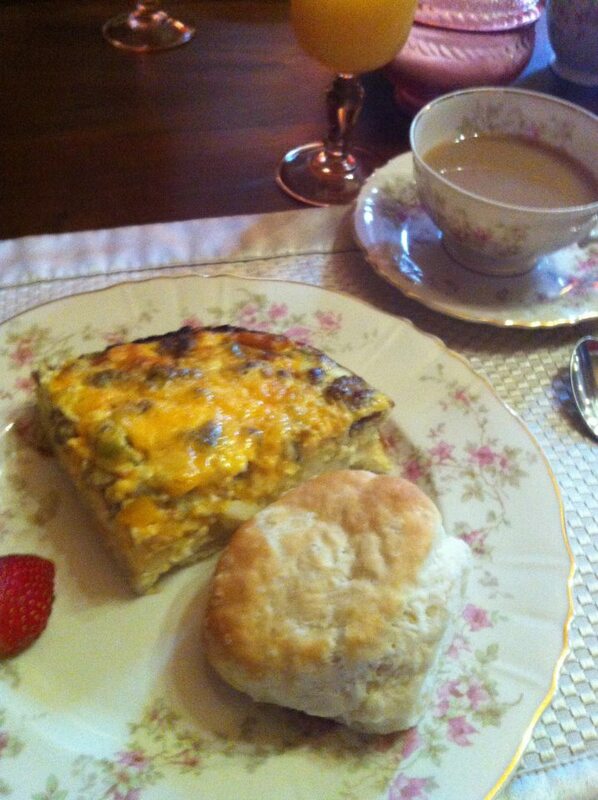 The Bed & Breakfast was recommended to us by a co-worker of J who has a home there. 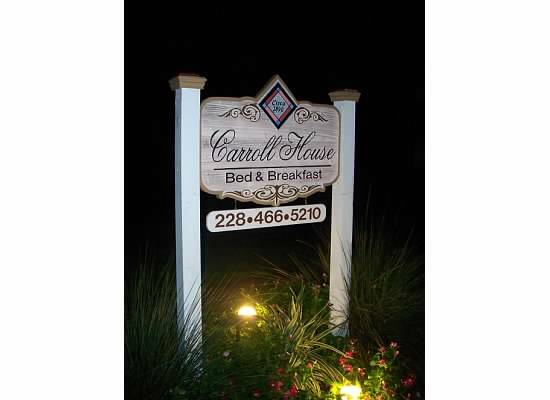 The Carroll House is conveniently located just 2 blocks from the beach and from the quaint Old Town of Bay St. Louis. We were in easy walking distance to all the cool shops, antique galleries, restaurants, and bars. The owners of the B&B were very helpful offering insight in the many things to do in such a unique city. Jane, our host, was even nice enough to allow us to come one night prior to our regaular reservation. Living in BSL for Katrina, she understood our plight without the "e" word. 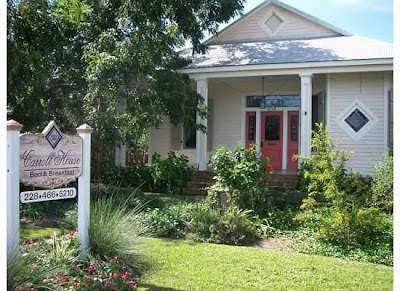 Service at the B&B was stellar and our accommodations were quite comfortable--- A/C, internet access, laundered towels! J & I stayed in the Master Suite which included a king size bed, private large bath with footed tub, private porch and entrance. 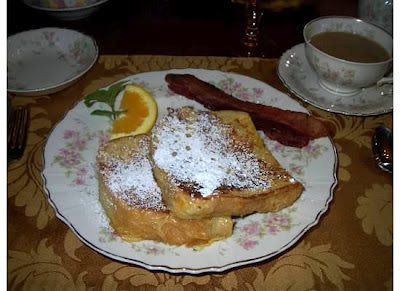 A fresh, yummy breakfast was served in the main dining room of the home. 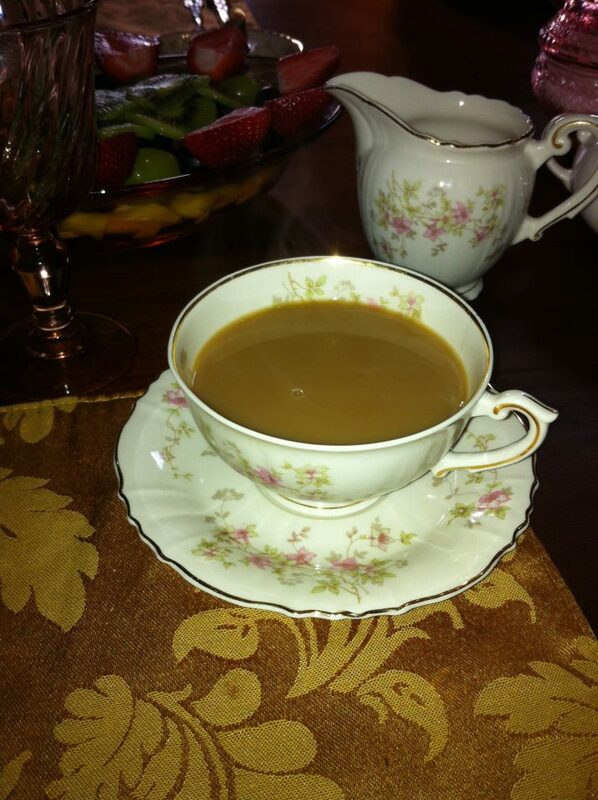 You know I need my "coffee tawk" to start off my morning. I appreciated how the breakfast was served on Victorian era china. I would definitely recommend a stay at The Carroll House on your next visit to Old Town Bay St. Louis. 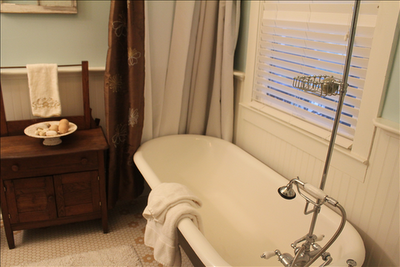 Check out The Carroll House: Click HERE! Bay St. Louis is situated on the Bay of St. Louis which emties into the Mississippi Sound. Devastated bu Hurricane Katrina in 2005, BSL is rebuilding and coming back strong. The people who reside in BSL are the friendliest and most hospitable folks around. The towns people are very welcoming and love to share many fascinating stories of life in such a small, unique locale. In the coming days, I will share with you my series of "hurrication" posts from Old Town BSL to Pass Christian. I will bring you along with me inside the vast shops, restaurants, and bars of this charming destination. I will also share with you some of the cutest cottages I photographed along our daily walks and some of my favorite finds. Of course, I arrived home yesterday with a bevy of new things from BSL & PC. Aren't you dying to see my "coastal-inspired" purchases? Pack your bags and join me on this exciting trip. 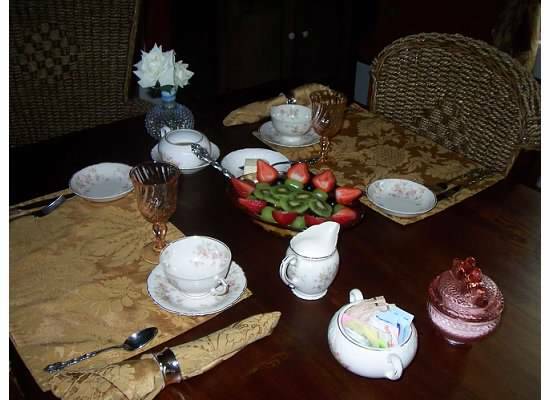 What a lovely B&B! 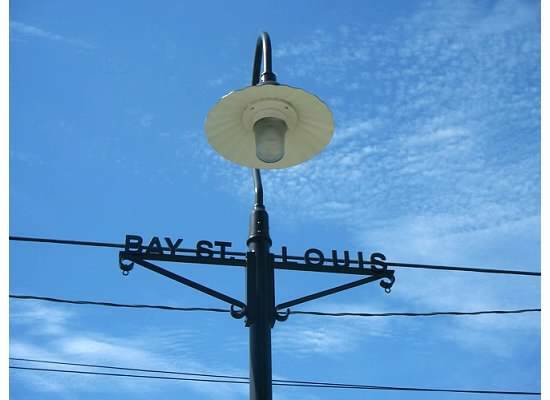 I love little towns like Bay St Louis! Such charm and so many fun things to see. I look forward to you posts!